. Published on Wednesday, November 5, 2014 . It’s a popular hashtag on Instagram and Twitter; #MealPrepMonday has proven to be more than just a social media phenomenon. Although you might be tired of your friends posting pictures of containers full of healthy food, there are actual benefits to planning meals ahead of time (sharing them via social media is optional). With the opening of the Bronco Recreation and Intramural Complex (BRIC, Bldg. 42), it’s easier than ever to get in a good workout before, after or in between classes. However, to be healthy, working out is only half of the equation. Your eating habits play a big role in your overall health. When you don’t have food already prepared, it’s easy to make unhealthy choices. When you’re hungry, anything and everything sounds good to eat, which means you’re more likely to overeat. Instead of purchasing something that isn’t the healthiest, prepping your food is something you might want to do. This way, you already know what you’re eating and the nutrients it contains, plus you can eat it right when you’re hungry! Eating out everyday can get pricey and put a dent in you wallet. If you shop for your groceries ahead of time, you can spend a lot less money and eat healthier meals! By packing a lunch, you could save up to $120 a month! 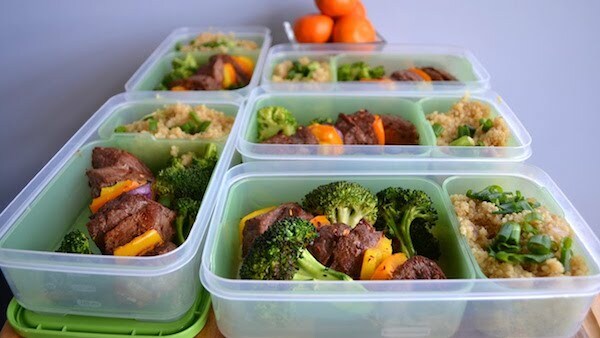 If you make a few meals for the week beforehand, then you can just grab and go! You don’t have to make anything in the morning, and later on in the day, you won’t have to wait in a drive-thru line! Sometimes, when you’re hungry, you aren’t aware of the amount of what you’re eating or what you’re even eating. Meal prepping takes away the guessing. You’re aware of the portions of what you’re eating because you made it! Prepping meals not only helps you to eat healthier, but it detours you from eating fast food or other unhealthy alternatives. When you prep your meals, you are in control of what you are putting into your body. This way, you can make sure that you are getting the nutrients that you need! If you need some inspiration, here’s some awesome meal prep recipes to get you on the right track! Do you meal prep? Let us know on Twitter, Instagram and Facebook with #CampusCropChat and share your meal prep insights!